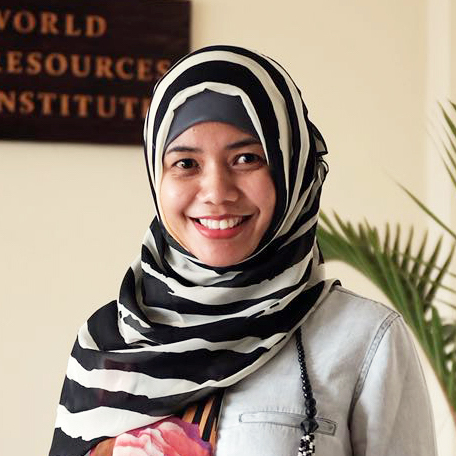 Retno is WRI Indonesia's Urban Transport Planner where her work primarily focuses on sustainable city issues. She provides technical assistances to governments on the improvements of road safety and sustainable transport, not only on conceptual designs, but also in its implementation. Prior to joining WRI, she worked at GIZ (German International Cooperation) for Sustainable Urban Transport Improvement Project (SUTIP) which is part of its climate change portfolio. At this project, she was assigned as the Transport Advisor. Her task was also providing technical assistances to governments on sustainable urban transport, such as parking management, public transport improvement, and sustainable area development. Retno holds BSc in City and Regional Planning from Bandung Institute of Technology and MSc in Infrastructure Planning from University of Stuttgart. During her free time, she likes spending the time with family and travelling.